Fire crews were battling a fire at 1183 Dufferin Street for more than eight hours after flames tore through a vacant church, south of Dupont Street, on Friday. 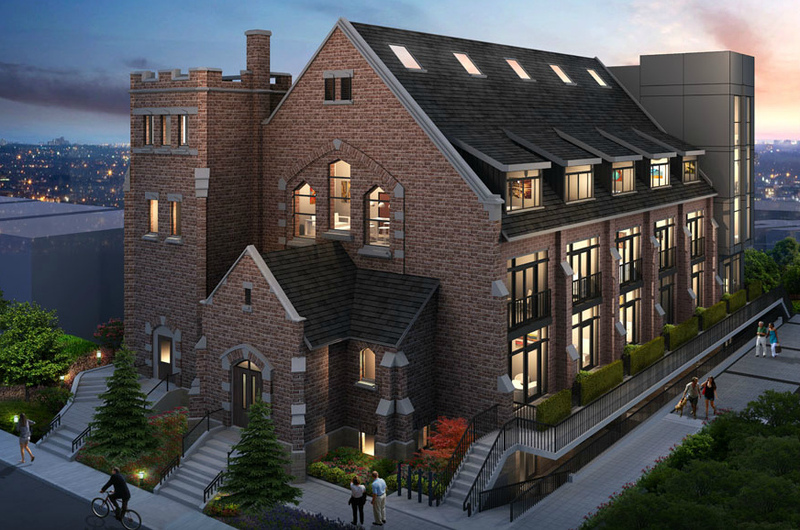 Concept Loft Developments are converting the Dufferin Street Presbyterian Church into 14 lofts. The project is named the Sanctuary Lofts. It is unclear how long the occupancy will be delayed for the buyers of these units. Occupancy was scheduled for December 2013.